Children who read during the summer don’t lose ground. They continue to build fluency and comprehension skills. The more children read, the better readers they become, and better readers are better learners. 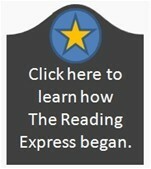 The purpose of The Reading Express is to ensure that every Klein student has access to library materials and programming throughout the summer. If the students cannot come to the library, we will take the library to them!